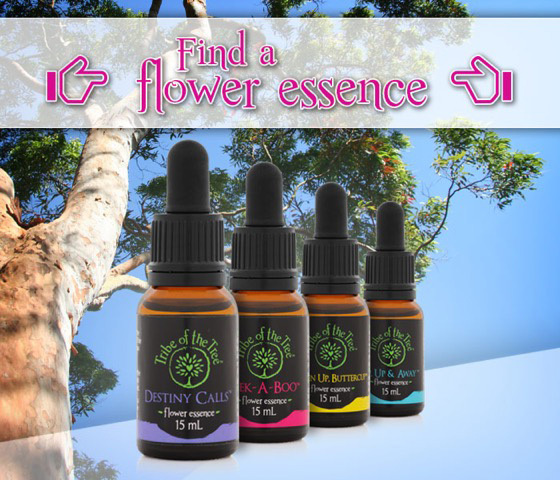 Tribe of the Tree™ flower essences offer energetic healing, insight and wisdom, delivered with a healthy dose of love and a cheeky attitude. Our mission is to help you reclaim the profound happiness, connection with source and reverence for nature that is, and always has been, yours for the taking. We're actively seeking new practitioner and retail stockists throughout Australia, so if our products seem like a good fit for your store or clinic, we’d love to hear from you. Join a growing band of Tribe stockists around Australia and apply today! Well, lots of changes here already... my confidence... it's BACK! Will keep taking the Up, Up & Away™ essence but am really happy so far. BIG thank you and would definitely like to use again. I have been taking Go with the Flow™ consistently for about three weeks now and I can feel a big difference in my reactions. I normally tend to speak before think but since I started taking your essences I have been feeling calmer. The biggest change is that I have not needed to react to things, instead I’ve been able to observe what goes on and detach myself from the emotion, then decide how to respond. This is a big change for a busy working mum. I’m very thankful, as this not only impacts myself but my kids and the general family life in a very positive way.